I'm just trying to mix niches, And create unique designs for my products! Note: All This artwork is made by me, All rights reserved! I'm still practicing with water color and feel it's necessary to sketch things out first. For those of you who haven't done much in watercolor, Often the pencil can interfere, Plus when you get a layer of paint it can be hard to erase the pencil. So I'm doing that now. I'm slowly starting to add color. Note how I'm using a lot of yellow. I REALLY like this. Watercolor is my favorite so far. 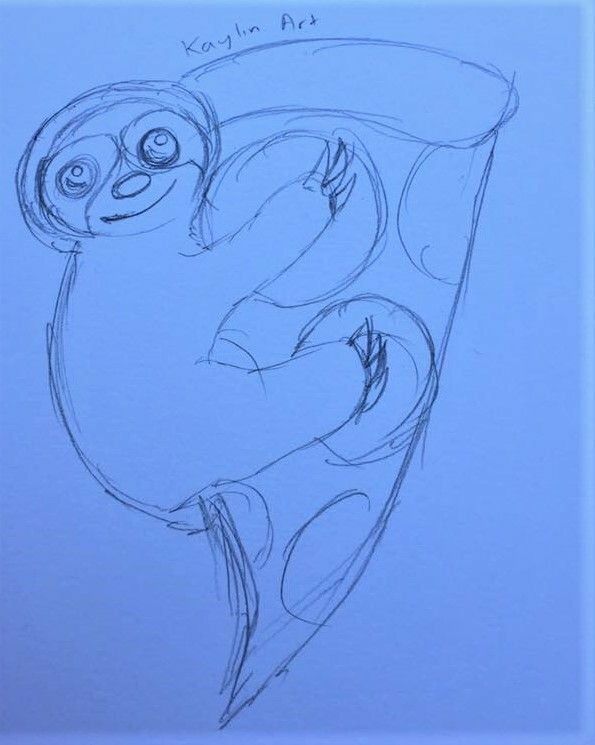 The sloth is adorable! 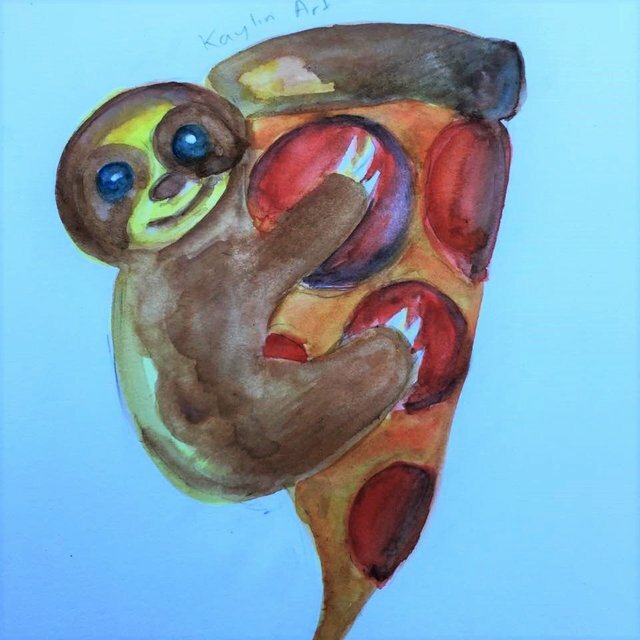 Good to see you mixing it up, sloth on a pizza is a nice, quirky drawing that not only shows your skills, but also the ability to diversify what you can draw. I like it positioned upward as it is in the last picture and put in the kiddie of a t-shirt!! Come on now, I can see it with multiple color shirts. Do it!! I had to give this a full upvote and resteem! Hope more people see it! Hi @kaylinart this made my day. I also prefer the non-outlined version. Just feels a little softer and furrier somehow lol awesome and original painting nevertheless. 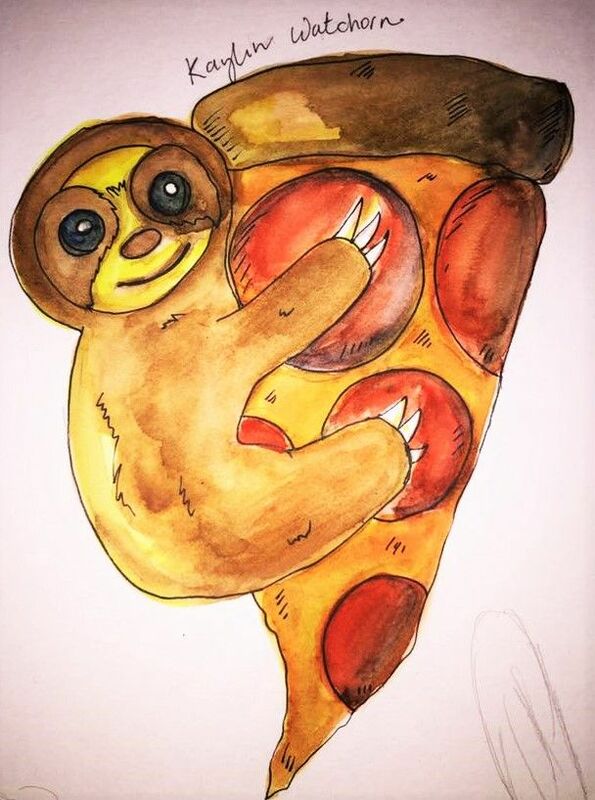 Pizza and sloth = best friends. Never could've imagined such a combination ^.^/"
Mother's love is always there even in animals. After giving birth her child, she started licking, and kissing. What an amazing video, thanks for sharing such classy video. 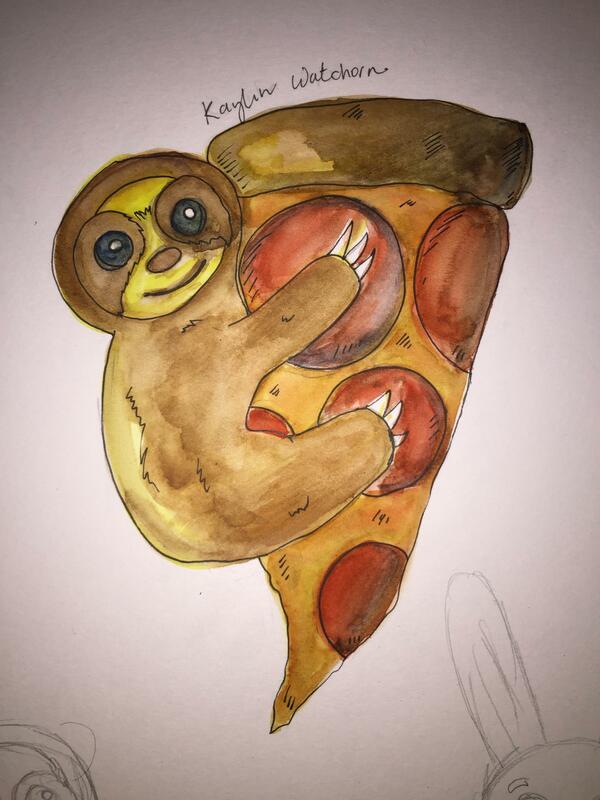 The sloth is sticking to pizza but keeps looking at me in all these drawings. Why is it so? Congratulations @kaylinart, this post is the eighth most rewarded post (based on pending payouts) in the last 12 hours written by a Superhero or Legend account holder (accounts hold greater than 100 Mega Vests). The total number of posts by Superhero and Legend account holders during this period was 11 and the total pending payments to posts in these categories was $418.53. To see the full list of highest paid posts across all accounts categories, click here. This post has been ranked within the top 80 most undervalued posts in the first half of Oct 14. We estimate that this post is undervalued by $8.59 as compared to a scenario in which every voter had an equal say. See the full rankings and details in The Daily Tribune: Oct 14 - Part I. You can also read about some of our methodology, data analysis and technical details in our initial post. I love everything about this, seriously awesome job, great concept and such cute and beautiful watercolors in the end. This may be your magnum opus. Pizza is FAST, FAST, FAST and you are joining it with a Sloath. . . 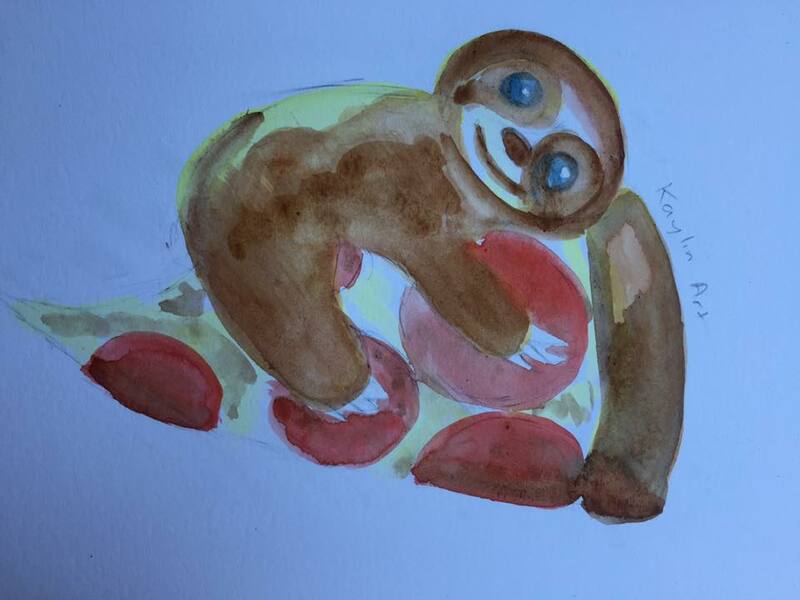 SLOW, SLOW, SLOW.
. . . and here we have SLOW PIZZA, that's what make art . . . ART! stopppppp this is amazing ! please make this into a shirt!!!! !